Catazonia, Home of Catazon: What Are You Waiting For? If you have been waiting to attend the perfect bout here in Houston, you have no excuse now. 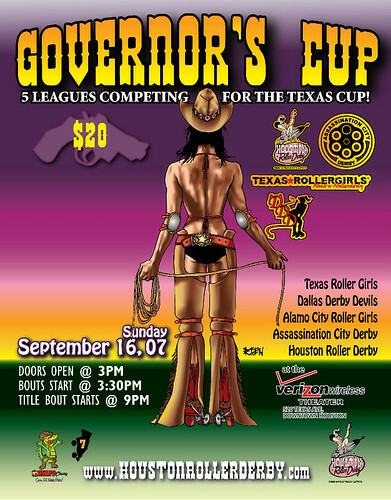 The best skaters of Houston Roller Derby will be taking on the best skaters from four other Texas leagues right here at the Verizon Wireless Theater. This is it, and I'm getting another shot at it, too. If you already know what it's all about and you can't wait to see us, swing by the West Alabama Ice House this Saturday for a derby-style luau. Remember...HRD is mostly kid-friendly, and Catazon will be there with The Kitten for the early shifts.